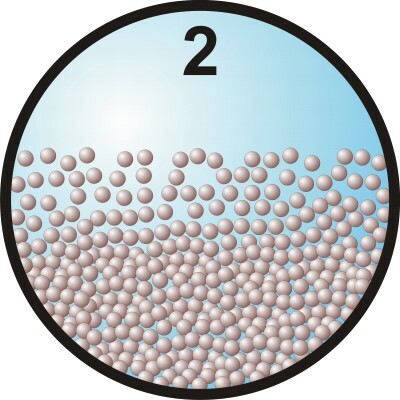 Under laboratory circumstances with a constant spatial volumetric concentration Cvs, at medium-low line speeds some of the particles are in a stationary (fixed) bed at the bottom of the pipe. 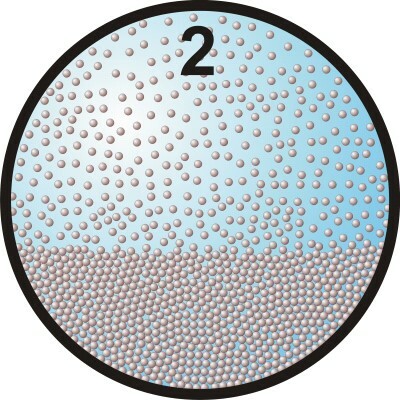 Above the bed a suspension (fine particles) or a sheet flow (coarse particles) is flowing through a smaller cross-section Aflow=Apipe-Abed. This gives a higher effective line speed vls,e=vls·Apipe/Aflow. Since the bottom of this cross–section consists of particles, the Darcy-Weisbach friction factor λ has to be determined by taking a weighted average of the friction factor of the bed λb and the friction factor of the pipe wall λw. The method of Miedema & Matousek <?xml:namespace prefix = "w" ns = "urn:schemas-microsoft-com:office:word" />(2014) for sheet flow can be applied to determine the friction coefficient λb on the bed. This method does not distinguish between fine and coarse particles and gives an explicit relation for the Darcy-Weisbach friction factor. The total pressure loss is thus determined by viscous friction and shear stresses in the sheet flow layer.